Warrior Trading Review - Is Ross Cameron's Services Legit? If you are new to the world of stock trading, you are going to discover that the market is flooded with dozens of day trading Chat Rooms and trading course providers. As such, it may be challenging to know who to work with and who to stay away from. Fortunately, Warrior Trading comes across as one of the few notable service providers you can add to your portfolio. Indeed, the company has quickly risen to become one of the largest and most popular trading communities on the net. However, this sporadic growth yields skepticism from some traders who mistake it for “just another scam”. The good thing is that the internet world has made easy to cross-examine facts about companies. That’s exactly what we did with Warrior Trading and here are the facts you need to know before investing with this provider. 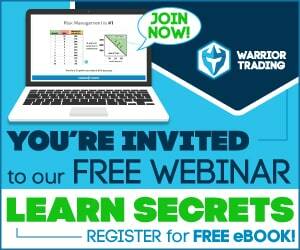 What Is The Warrior Trading Program? 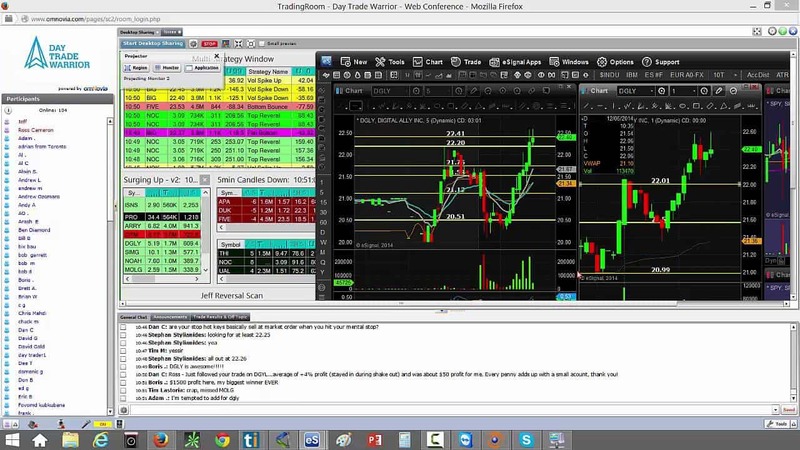 Warrior trading is a stock market education service that teaches potential traders how to day trade through online training courses and chat rooms. It started out as a blog in 2012 and was later turned into a live trading chat room to educate traders. It claims to be one of the largest communities of active day traders and investors and it provides educational content to more than 500,000 active followers. Furthermore, Warrior Trading has been nominated twice for best trading educator in the Benzinga Fintech Awards both in 2016 and 2017. The program offers three major services including a chat room, trading simulator, and educational trader training courses. Like with most providers, Warrior Trading focuses on low float momentum stocks while offering guidance for swing trading strategies. Traders are taught the fundamentals of technical analysis and the best tools required to become successful. In addition, traders learn when to enter into a trade, when to exit as well as what it takes to generate profits from the stock market. And if you are not sure whether trading stocks is really what you want to pursue, Warrior Trading has tons of free day trading resources to get you help you make a decision. This way, you will know what exactly you are getting yourself into before committing to any monthly, quarterly or yearly subscriptions. 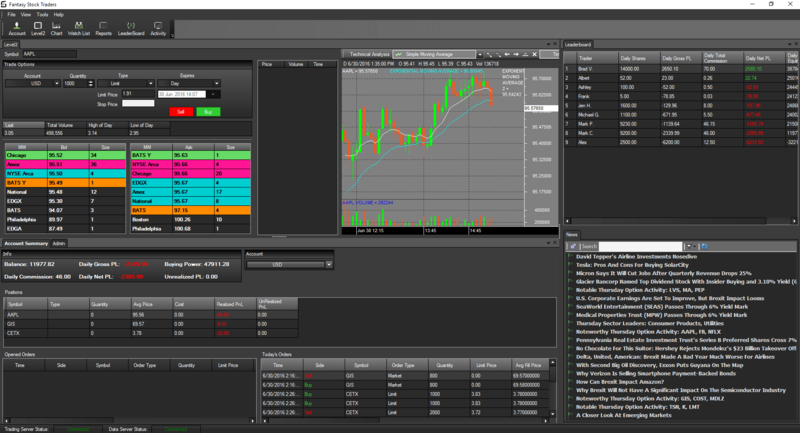 Additionally, the program caters to both beginner level and experienced traders. In fact, there is an online quiz that traders can take to determine their skill levels. Who is Behind This Day Trading Service? 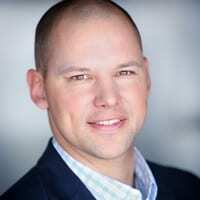 To begin with, Warrior Trading is led by Ross Cameron who is also its founder. He is responsible for most of the educational materials and is very active in the chat rooms. He claims to have lost quite some money trading the markets through trial and error strategies which is what led him to start his own day trading with small cap stocks. To share his experiences, he decided to start a blog which is now the Warrior Trading site. 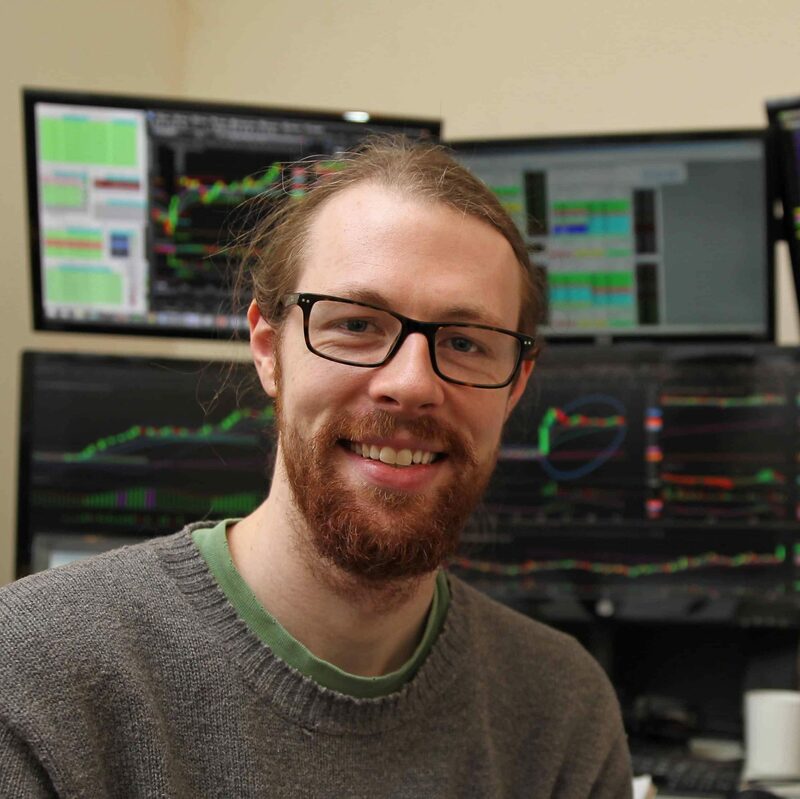 According to Ross, he established this service in order to share his trading secrets with other traders and teach them important trading skills. Also, there is a team of moderators who are also trading mentors including Jeff and Mike. Jeff is a full-time day and swing trader while Mike is a day trader. In Addition, Jeff provides swing trading education to traders who are in the Inner Circle and Warrior Pro courses. Mike, on the other hand, is a trading mentor and usually trades stocks priced from as low as $20. The other members of the team have a different background but are reported to be great experts in day trading and finances. The chat room acts as a web conferencing platform where moderators share their screens of scanners and stock charts or talk over live audio. According to different reviews, the chat room is very active with at least an average of 1,000 traders on a daily basis. Therefore, there is a lot of interaction with other traders which provides plenty of trade ideas. In the day trading chat room, Ross and the moderators usually provide a watch list of 3 to 5 stocks with great potential every morning and start trading at 9.30am EST (that is immediately the bell rings). Also, every morning Ross usually provides market commentary, then a mid-day recap to ensure every trader is up to speed and later a Q&A session. In addition, if you are a member of the chat room, you literally get to watch Ross Cameron as he trades the markets. Additionally, there are three different day trading chat room pricing options with the most basic one going for around $149 per month. With this basic option, you get to enjoy access to Warrior Trading’s daily hot stock watch list, actionable day trade ideas chat room alerts via SMS text or email. This is an additional service to be paid separately once you subscribe to the day trading chat room. It acts as a paper execution and may be a good start for newbies. The goal of this service is to help people build up their trading skills without the emotional element before they start trading via a live cash trading account. Also, it teaches traders the same techniques they will need once they go live and prepares them to trade live at Suretrader or Speedtrader. As a matter of fact, Warrior Trading warns against trading with your hard earned cash if you cannot trade profitably in the simulator. Available in three different packages, the most popular option is only $99 per month. This package includes a 100k simulated account, advanced charting, and reporting, real-time level 2 as well as key settings for quick orders. Besides, you can choose the annual subscription which features advanced reporting on fantasy stock traders platform so you can know where you stand among the rest of the traders. What really makes this feature unique is the fact that their team usually monitors all simulated trades their students are trading. Therefore, in case they see you taking unrealistic amounts of risk or making stupid mistakes, they will tell you in real time and also guide you. Apart from offering a premium service, they also offers free trading tools, strategies, techniques and watch lists as a way to give back to the community. This feature comes in handy for beginners who would like to know what they are getting into before paying for a subscription service. Some of the free content they offer includes free strategy summaries, a free day in their trading chat room, Ross’s daily watch list and free webinars. To top it all, Ross Cameron claims that if you just implement some of the tips they offer via the free webinars and chat room, you will become a better trader. Above all, if you want a better understanding of what it is like to be a premium member, you can always enroll in their $200-day trading challenge. The day trading courses provide three levels of training which are accessible via mobile, PC and MAC devices. For newbies on a budget, there is the tailored Warrior Starter program which is around $997. This course not only contains great trading strategies, but is also written in an easy to understand manner. The course includes one-month access to the chat room, real-time trading simulator, and a core warrior day trading course. Furthermore, you get to learn the techniques to maximize winnings and strategies for mastering day trading. The second course is the Warrior Pro which is quite popular amongst experienced traders. It costs around $4,299 and includes everything from the Warrior Starter course with three months of access. In addition, you get access to proven Warrior Pro trading system, personalized trade review by Ross himself and 3x weekly mentorship. Finally, there is the Warrior Inner Circle which is reported to be the most private and exclusive trader platform. This course is accessible via an exclusive app only and is limited to 100 traders for an entire year which can either be an advantage or a drawback depending on how you look at it. If your application for the Warrior Inner Circle is accepted, you can expect to enjoy access to a private chat room, 3x weekly mentorship, proven warrior pro trading system and private access to Ross and other successful inner circle traders for an entire year. Moreover, you will get the chance to fly out and meet with Ross Cameron along with his team for two times in a year. As a beginner, understanding most of the day trading terminologies is important if you want to become successful. Fortunately, Warrior Trading provides detailed information for the most basic and even advanced day trading terms to help you. While most of the terminologies you can get their meanings from the internet, Warrior Trading makes it easier by providing you with the information in an easy to understand manner. Not to mention, the information is available in one place so you don’t have to open many pages. Furthermore, Ross claims to explain each of the terms and how he uses them in his day-to-day trading as part of the day trading courses. A vast majority of those who review this system award it a 5-star rating. It seems that the court of public opinion has so far ruled in favor of Ross’s program. A good number of those positive reviews cite the professionalism with which the site is run as a major source of motivation. There are also those who say that Ross, Mike, and Jeff provide one with the groundwork or the keys to financial freedom. However, in even in the midst of all these positive reviews, there are those who feel that the program’s high pricing makes it a sort-of a rip-off. Access to some of the best tips is exclusively available to those who can part with several thousands of dollars. Since most beginners can only afford to part with small amounts, investing in Warrior Trading presents quite a challenge. The system does not guarantee one of losing cash in trades. As far as stock trading is concerned, no one enjoys a clean track record of making winning trades and Warrior Trading is no different. Is Ross Cameron the Real Deal or Another Scam? First off, Warrior Trading is not a scam. That said, there may be some people out there who may not have gotten the best experience out of the system despite investing their hard-earned cash in it. That, however, does not qualify it to be yet another fly-by-night kind of scandal. If anything, the company has invested massively in building capacity in order to minimize the chances of any trader losing out. It is worth noting that, their service is not a get rich quick scheme whereby you pump in some money and expect some quick returns. The training modules offered within the system require one to spend time trying to understand the theory and psychology behind successful trading. From our experience in this market, a majority of traders who lose money in stock trading are ones who rush to open trades before they even understand why and when they need to do so in a particular manner. On a scale of 10, I would give Warrior Trading 8. They could have scooped a straight 10 over 10 but then no one in this world is perfect. The company has its fair share of flaws – it takes a level-headed investor to appreciate that. That, however, is not to say that it’s a sham either. If anything the merits of working with them far outweigh the demerits. ClayTrader Review – How Legit Is This Service?